Celebrate The Emerald Isle With These Five Great Apps! Posted March 5th, 2012 by a_russell & filed under Bodacious News. 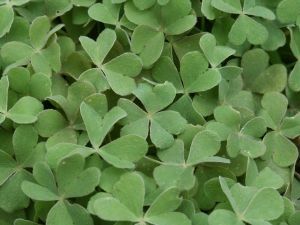 St. Patrick’s Day is just around the corner, and already people are rushing to the stores to purchase green and gold beads, leprechaun hats, St. Patrick’s Day 2012 t-shirts, and “Kiss Me, I’m Irish” pins in preparation for the big day. After all, you’ve gotta be ready to look your best for all the St. Patty’s Day parades, and you totally have to avoid getting pinched! Luckily for all of us, there are some apps out there now that can help you get your Irish on and have an even better St. Patrick’s Day! Just in time for the famous Irish holiday, we’re presenting you with five great apps that can make your day even more fun! Guinness Pub Finder (free) – Time to get your drink on! This app takes information from a database of more than 20,000 pubs located in the United States to help you find one near you that serves this Irish beer. You can even invite your friends to the party at the pub of your choice by one simple tap of the button! Additionally, you can check out lots of information, images, and videos for Guinness, too. Please be sure to drink responsibly, and don’t drink and drive! Are you not old enough to drink? Well, just have an iBeer! This app, which only costs $0.99, contains all sorts of beers to digitally brew and drink. And here’s the cool part: the beer you choose to “drink” disappears when you tip the iPhone back, and you can even make it foamier when you shake your iPhone! Irish Slang Dictionary ($.99) – What’s better than drinking beer on St. Patty’s Day? Well, not much. But speaking in Irish slang while you drink (or simply throughout the day) comes pretty close! With this app, you can learn to speak the slang AND you will understand what you just yelled at your friend across the table. You can even search for slang words and mark your favorites so you can use them later! Angry Birds Seasons ($.99) – If you’re an Angry Birds fan, then this app is for you! There is now another season added to the Angry Birds’ “Seasons” app, and it’s St. Patrick’s Day-themed! Check it out – see your favorite Angry Birds wearing leprechaun hats, and so much more! A St. Patrick’s Day Quizzle – If you are a trivia fan (you know who you are, person watching Jeopardy! ), then this could be your favorite app of all. A St. Patrick’s Day Quizzle is an app that has over 300 trivia questions dealing with St. Patrick’s Day! Oh, and did we mention? It’s free! Hooray for free knowledge! OpenTable (free) – One of the biggest challenges anyone can face on any holiday is securing a reservation at his or her favorite restaurant for the night. Challenge accepted! The popular (and reliable!) OpenTable app can help you locate restaurants near you and secure a reservation for you and your party. Oh, and don’t forget to use the Yelp! app to rate your service and share your experiences online to your friends and family! Be sure to download at least one of these fun apps on your smart phone for St. Patrick’s Day, and you’ll be well on your way to an excellent time celebrating with your friends and family! In the meantime, why not stop by our Facebook page and Twitter page and check us out? And keep your eyes peeled for Bodacious Cases to be coming out later this spring! Erin Go Bragh!